The Victoria Texas based law firm of Mike Crane provides a variety of legal services for both individuals and businesses. Our firm specializes in Personal Injury Law cases, including cases involving wrongful death and injuries experienced in vehicle accidents or at work. 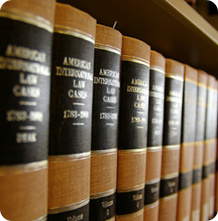 We also have significant focus and experience in the areas of Commercial Litigation and Probate Litigation. Regardless of your situation or status, it is our commitment that you receive what Texas law entitles you to. The Law Office of Mike Crane is fully qualified to handle your case. With Certification by the Texas Board of Legal Specialization and the National Board of Trial Advocacy, you can trust us to put your needs first. If you would like to receive your free consultation, please call us at 1-800-677-8518. Vehicle Accidents – Civil cases filed against motorists whose negligence has led to the injury or death of another driver. Construction Accidents - Civil cases involving injury or death on a construction site due to unsafe practices, defective machinery or errors in supervision. Workplace Injury – Civil cases filed against corporations or government entities, typically involving workers who are killed or injured in a hazardous event while working. Maritime Injury - Civil cases where injury or death has occurred on water, including injury experienced on fishing or passenger vessels due to negligence. Dangerous and Defective Drugs - Civil cases involving pharmaceutical drugs that have resulted in the significant harm of individuals seeking help with the recovery of health issues. Occupational Chemical Exposure - Civil injury cases where prolonged or direct exposure to chemical products has led to the death, injury or illness of a worker or individual. Premises Liability – Civil cases filed against property owners where invited guests or customers suffer injury on the premises from preventable hazardous conditions. Have you been treated unfairly in an accident that has led to injury? Please contact us immediately at 1-800-677-8518. Your free consultation is risk free without any obligation.